Someone out there is clearly focused on our needs, because who else would concoct a recipe for Fireball gummy bears than an individual who genuinely prioritizes us? Seriously though, creating a treat that satisfies sugar cravings and helps you get your buzz on sounds awfully considerate. Pardon us if we’re feeling extra excited. Basically, buying Fireball whiskey in a box was the best thing ever — that is, until these gummies entered the scene. All kinds of over-the-top ideas entered our minds, like how it would feel to drop some of these candies inside a huge glass of Fireball sangria. But let’s pump the brakes on the adult beverage-induced euphoria and get into the potency of these gummy bears. According to Delish, Fireball gummy bears are currently available for sale on Etsy. 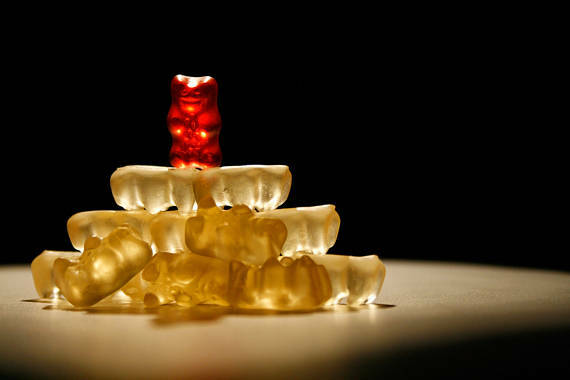 Honestly, we can’t think of a better occasion than “just because” to gnaw on a handful of these gummy bears. Next up on the “Must have NOW” list of boozy treats are Irish Confectionery Co.’s “Fire Cubs,” a gluten-free combination of Fireball whisky and “sparkle.” Unfortunately, they’re no longer available (our taste buds are weeping as we speak), which leaves us the option of hitting up the aforementioned Etsy shop owner or trying to make some of these boozy bears on our own.